3-piece Injector Extractor Set, ZR-36SHTINP - ZIMBER TOOLS. 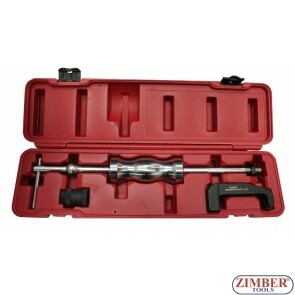 Injection Injector Puller Set Common Rail Adaptor Diesel Injectors Tool Kit - ZR-36DIPS - ZIMBER - TOOLS. К-т за изваждане на инжектори (Дюзи) Mercedes CDI CDI OM 611, 612, 613 - ZIMBER.